More than 4.4 million tons (4 million t) of cocoa beans are used to satisfy the world's need for tasty products each year. But cocoa is used for far more than just chocolate bars. Readers will discover the history and origins of cocoa while they explore a diverse, useful culinary ingredient. 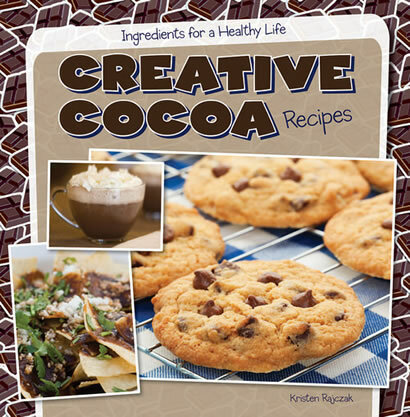 Full-color photographs accompany delicious recipes that use cocoa or chocolate, including mole and a low-sugar granola. Through interesting fact boxes and plenty of food fun, readers will learn how to reap the benefits of cocoa's healthy properties without eating too much dessert!